"Eye Popping" custom home in the tall pines of Twain Harte&apos;s beautiful Lakewood Park. 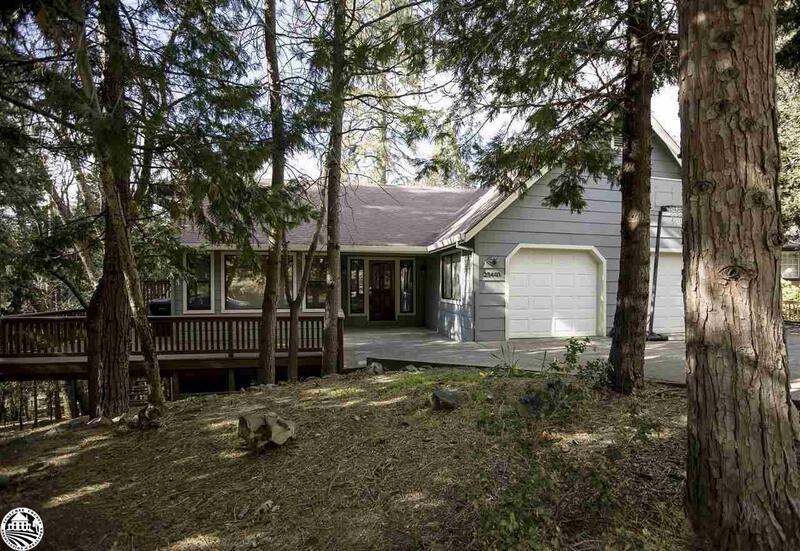 The small private lake and miles of waterside trails are within walking distance. The home is accessed by County roads to a level concrete driveway. the spacious wrap around deck offers great privacy backing to a large, single owner parcel. The home has been beautifully maintained and updated in 2016 with gorgeous quartz counter tops and new stainless steel appliances. This contemporary home has a nice mountain feel with new hardwood throughout the main floor and marble tile in the bathrooms and laundry. New radiant heat along with Internet remote-controlled thermostat will allow you to heat your home in advance of arrival. There really are too many features to describe, come check it out, all you need is a key. All furniture, electronics, rugs and furnishings may be negotiated in the sale. Copyright 2019 Tuolumne County Association of REALTORS®, inc. all rights reserved. The data relating to real estate for sale on this website comes in part from the IDX program of the Tuolumne County Association of REALTORS® Multiple Listing Service and the Tuolumne County Association of REALTORS®. Real estate listings held by Participants or Subscribers other than Twain Harte Homes and Land, Inc. include the name of the listing broker and listing agent. The information being provided is for consumers' personal, non-commercial use and may not be used for any purpose other than to identify prospective properties consumers may be interested in purchasing. Only single family residential homes, mobile homes and residential lots and land are included in this search. Information is deemed reliable but not guaranteed, buyer is advised to confirm all items. Information last updated on 2019-04-25.